During the dreary, rain-soaked summer of 1978, a few friends and I were camping in a peat bog on top of the Yorkshire moors above Wensleydale. We were amateur astronomers, and were willing to camp in a bog on account of the clear, dark skies that grace remote rural sites. Trouble was, it rained every day, and the continual wet, total absence of facilities (when I say we were camping in a bog, we really were – no shower blocks or loos or even running water, except a tannin brown floaty sheep dung trickle of a stream) forced some of our party out of the tents and down into the nearest small town, Hawes – a seven mile trek. Not so bad going down but a swine coming back up again. The morning after one of these forays into town, the guys who had gone told us about this amazing and incredible beer they had discovered called ‘Old Peculier’. Now I was only 16 at the time, but on a lunchtime visit to Hawes later in the week, one of my older friends bought me half a pint of this wonderful beer he’d discovered. And it was. Obviously at that time I had no great experience of beer, but to find this amongst all the Watney’s Red Barrel was a find indeed. I loved it from the start. And thus started a lifelong love affair with this particular ale. Now considered a bit passe by many sophisticated beer drinkers, Theakston’s Old Peculier maintains its No 1 slot on my favourite beers list. But it’s wobbly. The problem with OP these days is consistency. Now we all know that when brewing real ales, slight differences do occur from brew to brew, barrel to barrel, and this is one of the great joys of drinking real ale. But OP can be wildly different. It can range from the truly sublime to the passably ordinary. 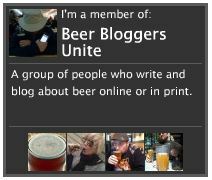 When I talk about OP to my fellow ale enthusiasts, it is always this matter that is raised. It’s not hard to find OP in pubs these days, but it is hard to find it in peak condition. I find this bizarre, because Old Peculier has been brewed since the 1890s. Surely they should have got it right by now. On a recent toddle round some of my favourite watering holes in the Lake District, I had three pints of OP in three different pubs. The three different pints (all drunk on different days) were respectively ‘alright’, ‘good’ and ‘mindblowing’. The ‘mindblowing’ pint (OK, I had two!) was at Tweedies Bar in Grasmere, a venue that I’ve noticed in the past takes very good care of its beers. How much of the difference can be put down to indifferent cellarmanship is debatable, but the two other pubs are definitely not noted for keeping beers badly. The other problem with Old Peculier is the bottled version. Deeply disappointing, it just doesn’t taste like OP. If you’ve only ever drunk this ale from bottles, then you haven’t really had it. Even the dullest of Cask OP is far, far better than the bottled version. Theakston’s should produce a bottle conditioned version of this beer – now that I would like to try, but in its pasteurized form, it’s just, well… flat. On a side note, a few years ago I found a truly interesting beer in the Royal Oak in Ambleside in the Lakes. 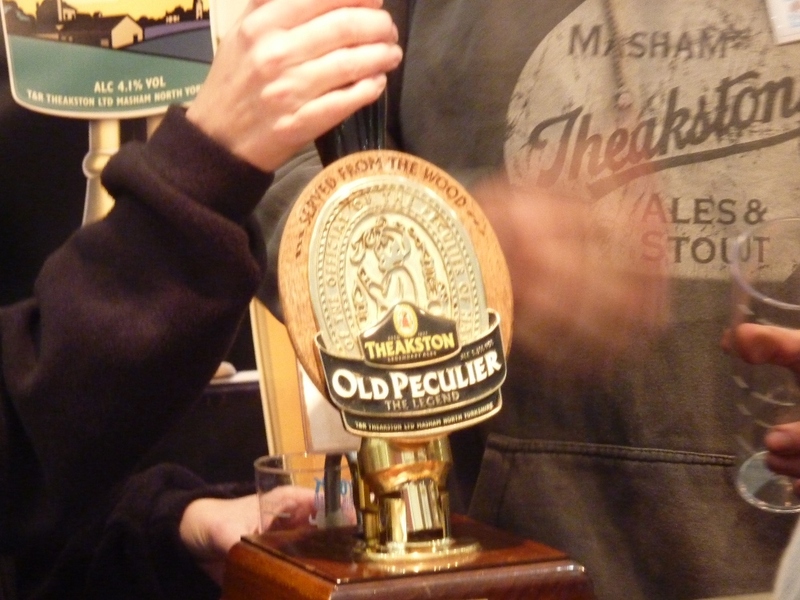 It was called Theakston’s Peculiar Peculier. I’ve only ever seen this once, and I imagine it was a one-off never to be repeated brew, which is a great shame. This was some time in the 1990s, and therefore may have been a celebratory brew for Old Peculier’s 100th birthday. The taste was undoubtedly that of Old Peculier, but the beer was a clear, bright yellow in colour. It looked like a regular pint of bitter. I’ve never met anyone who remembers seeing this beer. If there’s anyone out there who does, I’d love to hear from them.